Built in a very distinctive traditional Greek island style, Nissia Kamares comprises 38 studios and apartments on two floors. The complex is attractively designed amongst lushly green gardens. Just three minutes’ walk from the golden beaches and the resort centre is ideally situated for the guest who wishes privacy yet vicinity to the action. 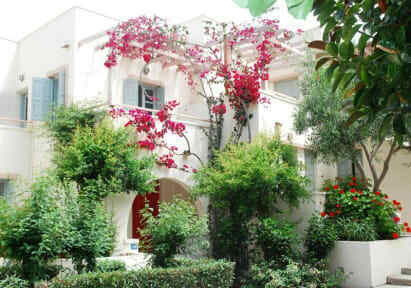 Nissia Kamares has always been a favorite because of its cozy atmosphere and its quiet location. 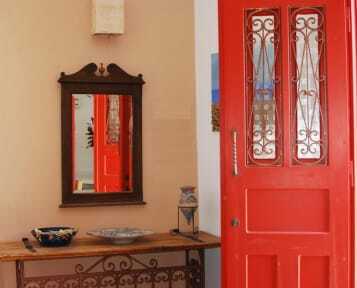 Our aim is for every guest to feel at home and enjoy the best of Greek hospitality. Tastefully furnished studios and apartments with spacious balconies overlooking green yards, offer a pleasant accommodation. Large and clean, they provide an equipped kitchenette with fridge, kettle, toaster, cooking rings as well as all the necessary cooking utilities. Air-Condition, Safety Deposit Box, free Wi-Fi and telephone are standard in all rooms and will ensure a comfortable stay.